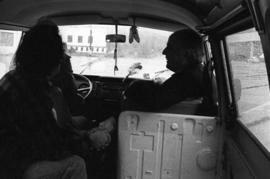 Item is a photograph showing Mother Teresa in the passenger seat of a car. 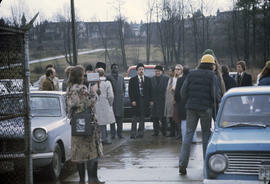 Item is a photograph showing Sacha and Justin Trudeau. 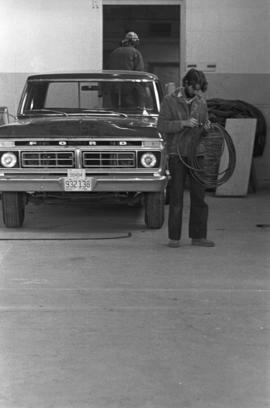 Item is a photograph showing Sacha Trudeau. 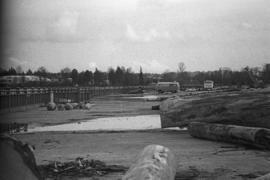 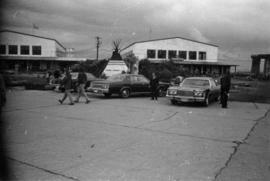 Item is a photograph showing cars parked at the Habitat Forum site. 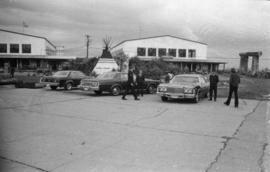 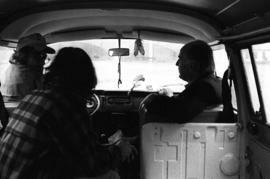 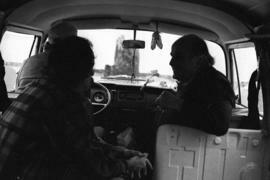 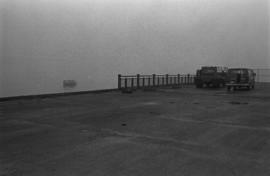 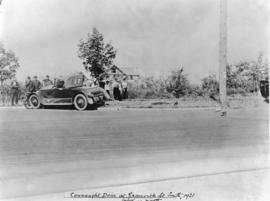 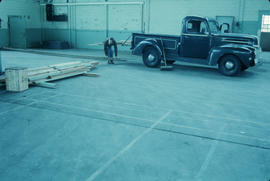 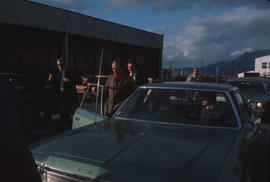 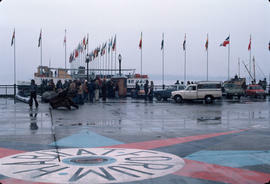 Item is a photograph showing Pierre Trudeau getting into a green Plymouth. 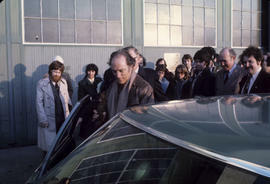 Item is a photograph showing Pierre Trudeau. 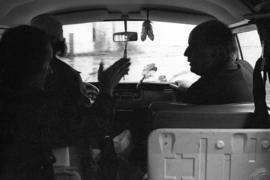 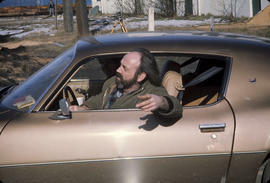 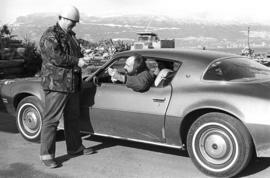 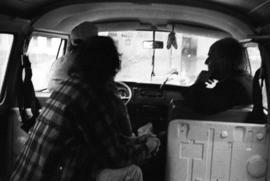 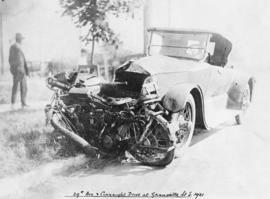 Item is a photograph showing Frank Yorke and Lenore Barron in a car. 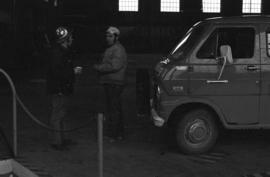 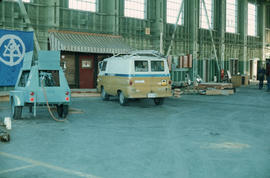 Item is a photograph showing a BC Hydro van parked in Hangar 8. 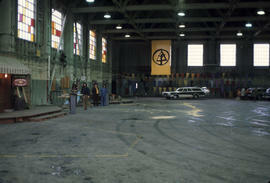 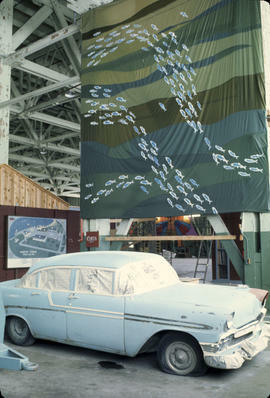 Item is a photograph showing a car inside Hangar 8/Exhibition Hall and a fish banner. 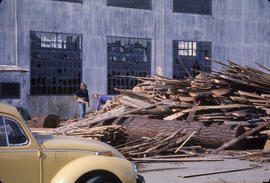 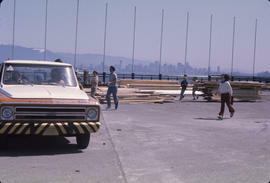 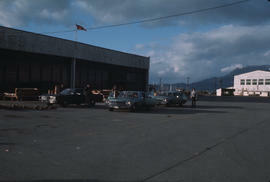 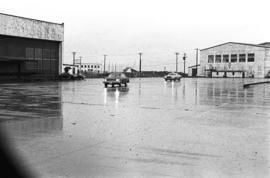 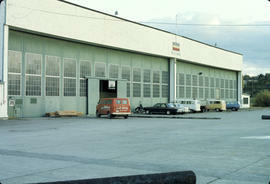 Item is a photograph showing wood offcuts and Volkswagon Beetle outside Hangar 3. 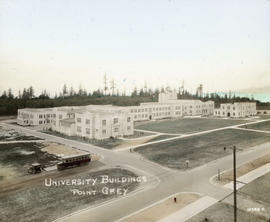 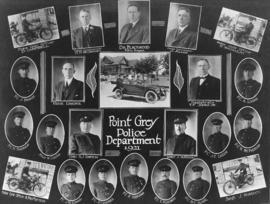 Point Grey Municipality, View of Kerrisdale (Municipal Hall on Left) 1911. 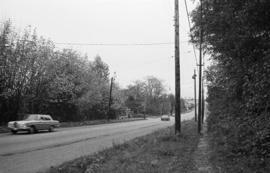 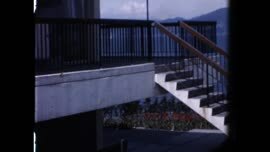 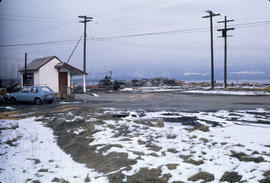 Panoramic view showing Wilson Road (41st Ave), Blair and Perrin Real Estate Office, the Post Office and the B.C.E. 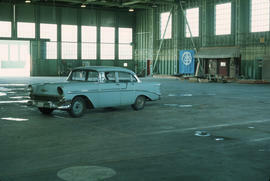 Railway freight shed and passenger shelter.